The filmfest just takes place on two days (Monday 26th of March and Tuesday 27th). Don’t miss! We are happy to return to Salzburg for a second Screening of our film. Di, 27.03. | 19:00We are happy to return to Salzburg for a second Screening of our film. 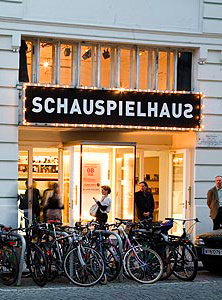 Till March 2012 “Der Doppelgaenger” is shown on a screen at the foyer of “Schauspielhaus Vienna”, in which the program “Schubert – Eine Winterwanderung in 5 Folgen con da capo !” starts at January 14th. Vom 1. bis 22. Mai 2011 sind im Künstlerforum Bonn »Doppelgänger – Literatur und bildende Kunst« zu erleben. Schirmherr der Ausstellung ist Prof. Dr. Stephan Berg, Intendant des Kunstmuseum Bonn. 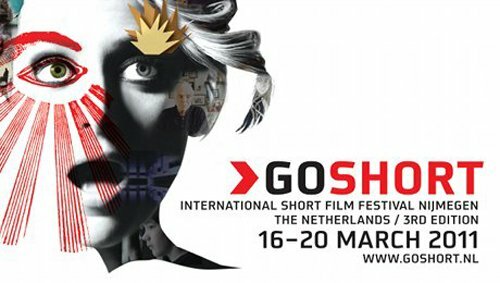 Stephanie WInter was invited to present her Film in Nijmegen. “The Doppelgänger” and “Anna Blume” by Vessela Dantcheva will be screened at the Cinepoem program together with the German language and culture department at the Radboud University Nijmegen. As she returned from the Go Short festival she decided to work on a short teaser. We keep you posted. on Friday the 12th of November - at the Bolzano Short Film Festival! from Nov, 14th till 17th – 2010. We hope to see U there! 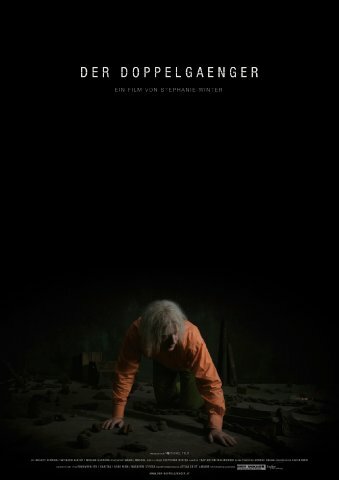 We are very happy to announce that ‘Der Doppelgaenger’ is selected to the 2010 Zebra Poetry Film Festival. It takes place in Berlin from Oct, 14th and lasts till Oct, 17th. We are looking forward to meet you in Berlin. 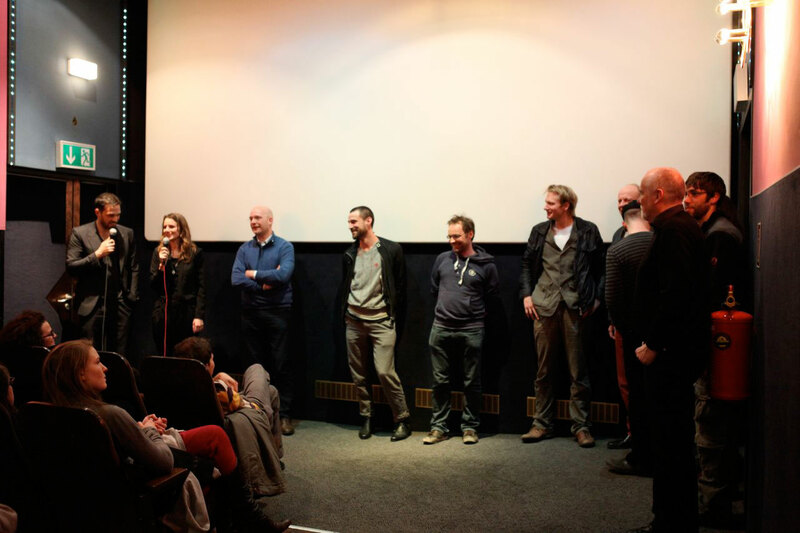 After arriving exhausted from Busan we finally managed to screen ‘The Doppelganger’ last Wednesday here in Vienna. ‘Sonate’ a film by Anna Mitterer was shown as the starter film. 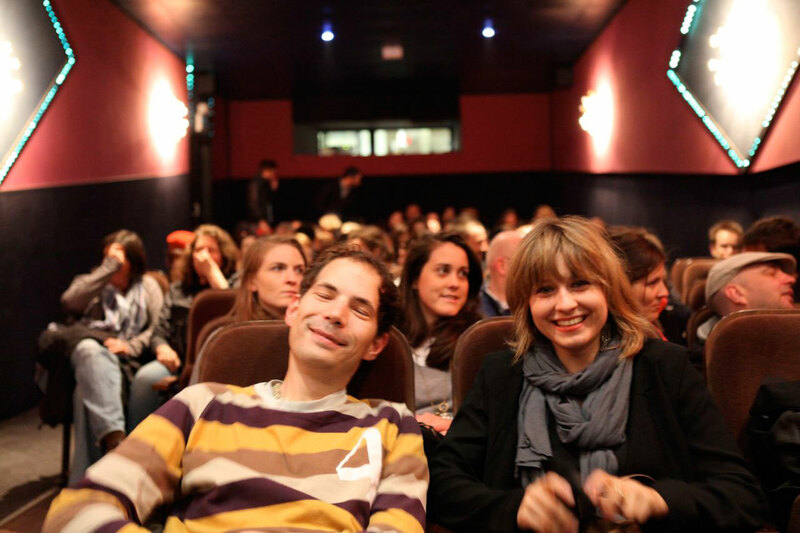 Nearly 300 people have watched the film in 2 screenings at the pleasant Topkino. Thank you all for coming and celebrating our Vienna release. For those who missed the film, please feel free to visit Topkino on the following four sundays in June at 12.30 pm. You will have the chance to see ‘The Doppelganger’ as the supporting film of the usual Sunday Brunch program of the Topkino. 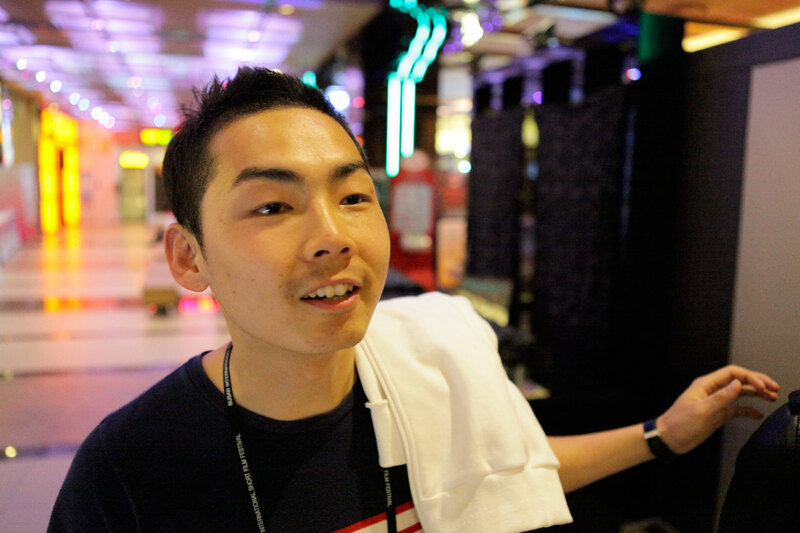 For us it was also very exciting to meet so many young directors from Asia (and not to forget Platon from Australia.-). 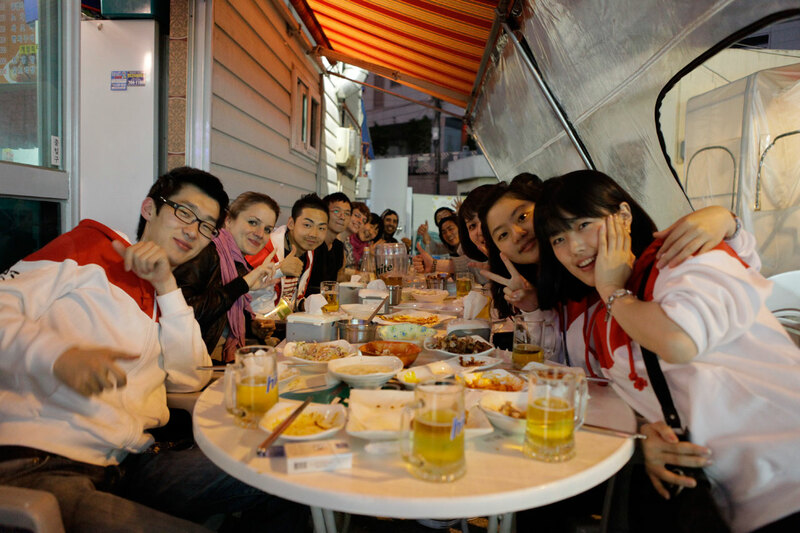 We spend time together in the screening, partying, hiking and also afterwards eating. It was very enriching thus sharing experiences. 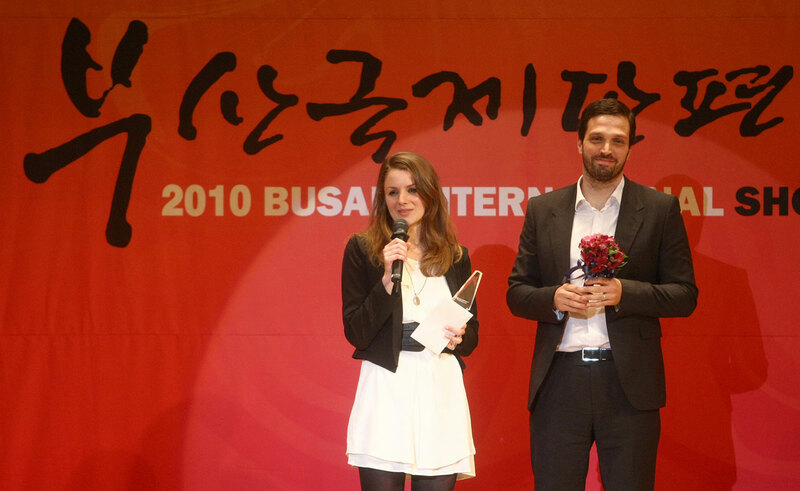 Last but not least we surprisingly obtained at the closing ceremony the second biggest festival award, the so called Excellence Award. We were completely overwhelmed about this event because there were many films we have watched deserving awards. So this generous benefit hit us really hard. Gamsa hanida BISFF! 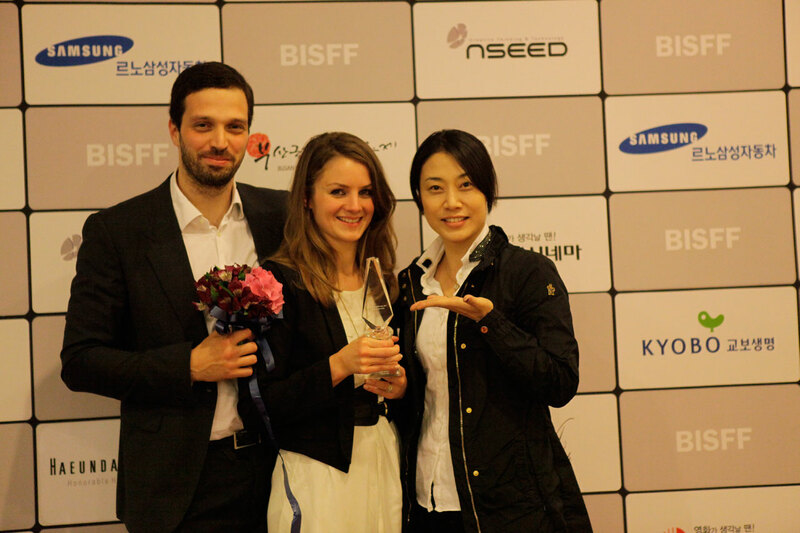 Here we want to thank separately Lydia who was a kind of personal masterbrain for us and Kim Sun-hee who selected our work and invited us to the festival. 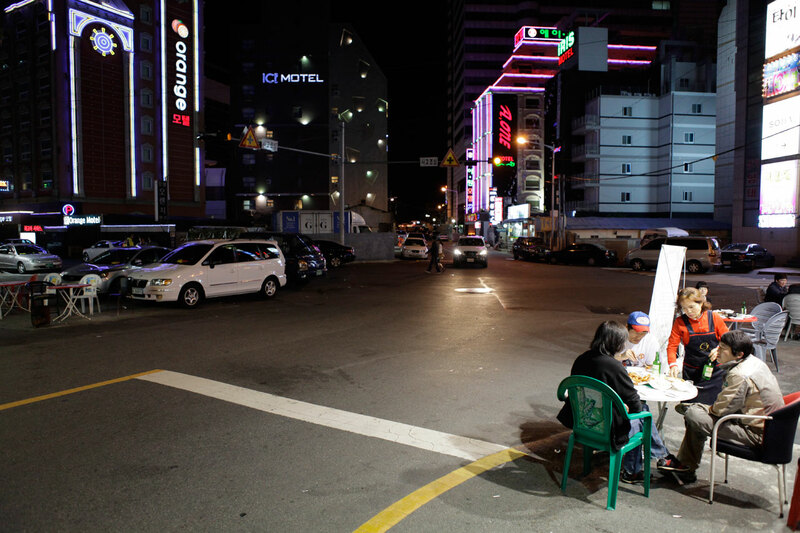 It was great fun to spend time with you and all the others in Busan. Hope to serve you also with this great hospitality when you visit us here in Austria. 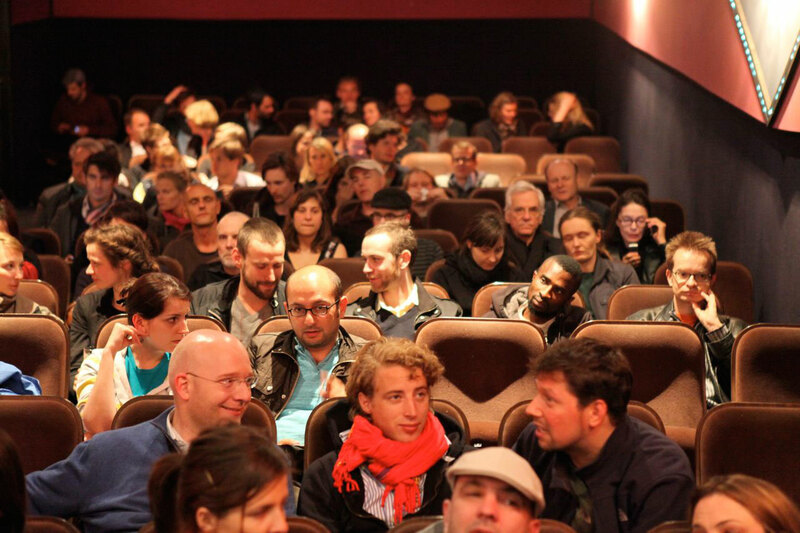 We are happy to announce that the 9pm screening is almost booked out. The Topkino recently set up a second screening at 10pm. So if you can’t get free tickets for 9pm, you’ve got a 2nd chance. Free tickets available @ Topkino. Copyright © 2009 Moshel Film. All rights reserved.